US automaker giant General Motors has chosen Piller technology to protect two state-of-the-art “green” global IT nerve centres. The GM data centres will integrate all aspects of product development, manufacturing, marketing, sales and company operations from around 37 countries. During the discovery phase, the company toured facilities owned by major high-tech and electrical companies before deciding on the Piller solution. the center is at a tiny fraction of its full capacity. Each of the GM data centres are designed to accommodate 8 x Medium Voltage UNIBLOCK 3000kVA/2700kW UPS modules, with 2 x 21MJ POWERBRIDGE energy storage modules. 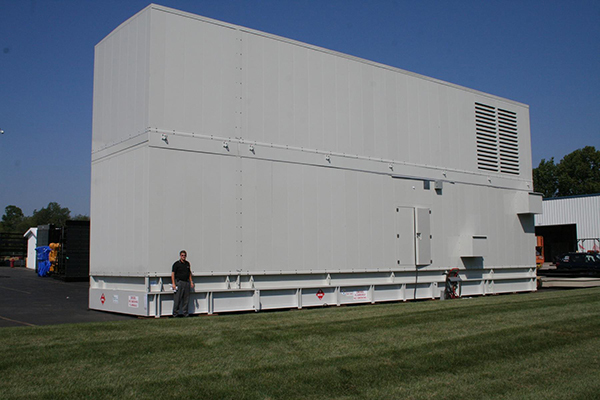 The modules and diesel generator are housed in identical outdoor enclosures. The first project, in Warren, which is currently online with Piller systems and two additional systems, recently manufactured and tested, to be added in the near future. The second project, in Milford, is under construction with the first Piller units due to be installed soon. Based on their design and construction process, General Motors has received a LEED Gold certification - Leadership In Environmental and Energy Design - from the US Green Building Council for its Warren data centre. 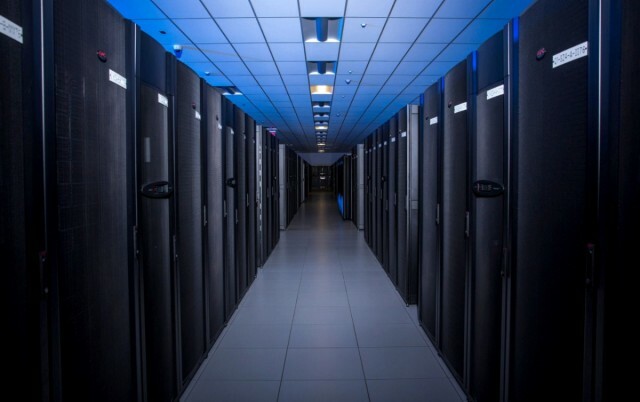 Less than five per cent of data centres in the US have such certification. GM switched from battery-based Uninterruptible Power Supply to Piller’s DeRUPS™ - powered by mechanical flywheels and a diesel engine, thus eliminating vast UPS battery footprint, maintenance and replacement/recycling costs and reduced the need for conditioned space within the building. As well as removing the risk associated with battery usage, the overall DeRUPS™ provided an attractive total cost of ownership saving. One of the Warren Enterprise Data Center&apos;s two diesel generators. 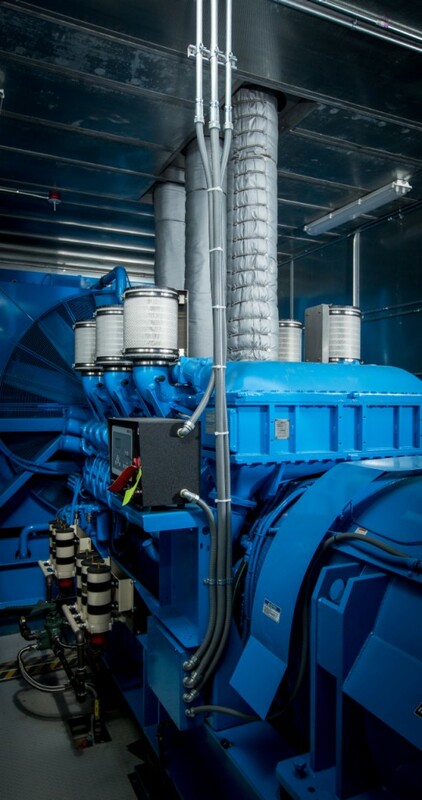 When the utility is unavailable the stored energy in the flywheels turn a motor generator in order to provide power for up to 15 seconds while the data centre’s two giant 5,800 horsepower diesel generators come online. After 20 years of outsourcing, GM is reclaiming its own IT. Senior Vice President Randy Mott, says: “We set out to consolidate our global IT infrastructure from 23 data centres to two, which is helping improve application performance while reducing operating costs and energy use. Piller was founded in Germany over 100 years ago. It is a world leader and innovator in a number of power protection technologies. The DeRUPS solution is unique to Piller. As a totally integrated system, the DeRUPS configuration optimises efficiency, maintainability and flexibility whilst using the benefits of flywheel energy storage to guarantee seamless operation between the generator and the UPS unit. It provides an alternative to the more conventional DRUPS offering where a diesel generator is combined with UPS either upstream or downstream and integrated in the control system of a UNIBLOCK UBT+ Rotary UPS to build a powerful and multifunctional system. This integration allows the use of external diesel generators in more complex designs, like IP systems, whilst providing the many advantages arising from the physical separation of the UPS and generator, particularly with respect to greater freedom in choice of engine size or manufacturer and to improve resilience during maintenance. Based in Germany, Piller has a number of regional offices, representatives and distributors worldwide. Piller is a wholly owned subsidiary of the multi-disciplined global UK engineering group, Langley Holdings plc.